Winter gets a bad rap. It's called the flu season, the cold season, and the season when contagious diseases abound. Yet according to Maharishi Ayurveda, winter doesn't have to be this way. Winter is actually the best season to improve immunity. It's not a weakening season if you know how to strengthen immunity. 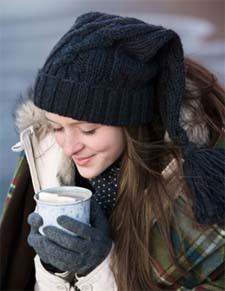 To understand how to improve immunity in the winter season, you first need to understand the unique concept of immunity in Maharishi Ayurveda. Bala, which literally means "strength," is the Ayurvedic word for immunity. If you follow the Ayurvedic dietary guidelines and lifestyle for each season, you can develop an established, permanent state of immunity, when sickness is no longer a threat. This is the third level of immunity (Yuktikrit), which is the goal of Maharishi Ayurveda. This is what "Bala" really means, "a state without disease"
Bala goes far beyond the Western concept of physical immunity. Besides physical immunity, it includes psychological immunity, and spiritual immunity. Bala provides endurance against any disturbance to these areas. In Ayurvedic terms, immunity is connected with the digestion. When digestion is strong and appetite is good, then immunity is strengthened. Whatever weakens digestion weakens immunity. It's that simple. Besides diet and lifestyle, there are other factors that determine your immunity quotient. These include your heredity, the season of the year and your age. It is even possible to develop an established level of immunity that remains stable throughout all the ups and downs of life. The chart below explains these three levels of immunity. Hereditary (Sahaj) - the innate level of immunity, which you are born with. Seasonal (Kalaj) - fluctuating levels of immunity due to the change of seasons, different stages of life, and planetary cycles. Established (Yuktikrit) - a balanced, permanent level of immunity that can be realized by following an Ayurvedic diet and lifestyle. This type of immunity can be "planned" using dietary and lifestyle principles and herbal preparations. If someone is born with an innately low level of immunity, that fact cannot be changed. So that's why in Maharishi Ayurveda, we focus on strengthening the second type of immunity, which fluctuates with the seasons, age, and planetary cycles. One reason that winter is a good season for building immunity is that the digestion is stronger in cold weather. Just as your home's heating system works harder in cold weather, so your inner digestive fire stokes up when the air turns chilly. People just think this season is bad for immunity because as appetite increases, people start eating more junk food and heavy, hard to digest foods, and thus weaken their immunity. But it's important to understand that we are creating the bad immunity, not that nature is giving us that. For this reason, it's more important that people eat immunity-boosting foods in winter, and that they follow the Ayurvedic daily routine. This should be the regimen in winter, to nourish the mind and body by getting more rest and eating well. Other seasons are better for purifying, but winter is the time to build up and nourish all systems--the hair, the nails, and the skin. It's also the best season for taking Rasayanas and herbal products, because the high level of digestion helps people to assimilate them better. Foods that nourish and balance the body in the cold, dry, winter season are the sweet, sour and salty tastes. It's best to eat less of the astringent, bitter, and pungent tastes in winter, although all six tastes should be included in your diet. Warm, home-cooked, unctuous foods are ideal, as long as they are not deep-fried and are cooked with easy-to-digest oils such as ghee or olive oil. 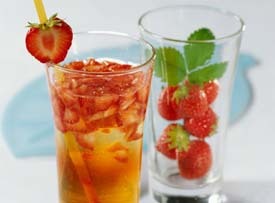 Avoid cold or ice-cold foods, as cold foods and drinks douse the digestive fire and decreases immunity. Lifestyle also impacts immunity. Staying up late, working at night, eating at irregular times, exposing the body to stress and fatigue, and sleeping during the day can all affect the digestion and body rhythms - and thus compromise the immune system. That's why it's important to follow the Ayurvedic daily routine, to keep the digestive system and other bodily rhythms working smoothly, and thus keeping the immunity high. In winter, when the days are shorter and the nights are longer, it's natural for the body to crave more rest. Try going to bed a little earlier, and you will wake up with more vitality and freshness. Winter is a more inward season, when nature is at rest, so you can take advantage of this natural tendency by giving the mind and body extra nourishment in winter. If you follow the Ayurvedic dietary guidelines and lifestyle for each season, you can develop an established, permanent state of immunity, when sickness is no longer a threat. This is the third level of immunity (Yuktikrit), which is the goal of Maharishi Ayurveda. This is what "Bala" really means, "a state without disease". So this winter, try giving your immunity a shot in the arm - and spend the cold season staying warm and healthy.